The weather has been shocking this week, there have been a couple of mornings where the sun has tried to make an appearance. This photo was taken on one of those mornings, the sun starting to rise over Sussex. 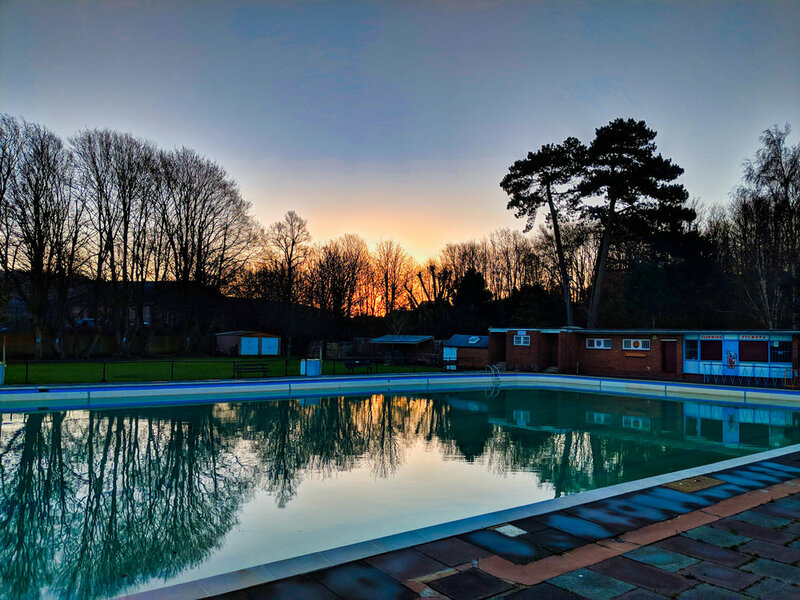 This is Pells Pool in Lewes which is a freshwater lido...currently closed until the season starts again in a few months. Happy New Year and I look forward to seeing peoples photos.